Oh where has the time gone? With that prelude…note that the next several posts will be what’s currently happening as well as catching up on what has quickly gone before us. As so many of you know yesterday was an exciting day for our knitting community….Avenue Yarns opened for their first day of business. I was there a couple hours after opening and was so happy for Karen and her team that the store was bustling! I did not need but I did buy! As it relates to Avenue Yarns and my own retailing experience with Skein Lane’s store front I want to share what I posted on Face Book this past week…….Reflecting on retailing…..think it was in my blood early on….pre-school years my sister and I use to play grocery store by stocking Dad’s shelf in the garage with empty cereal boxes…..fast forward….one of my first jobs was both as a “soda jerk” and retailing in our small town drugstore. Many years later I had my own retail store Skein Lane…..I drew on many of my early retail experiences and my love of yarn and the crafting of it. Today I got to “dip” back into the retail world ever so briefly to be one of many helping hands to Karen as she and her team were readying for tomorrow’s opening of Avenue Yarns in Albany. Tomorrow will be a fun day for all! I know I also posted on FB that I did not need yarn…..but want and need are two entirely different things. While I was helping Avenue Yarns for a very short time with tagging on Friday….I fell for one of the yarns. 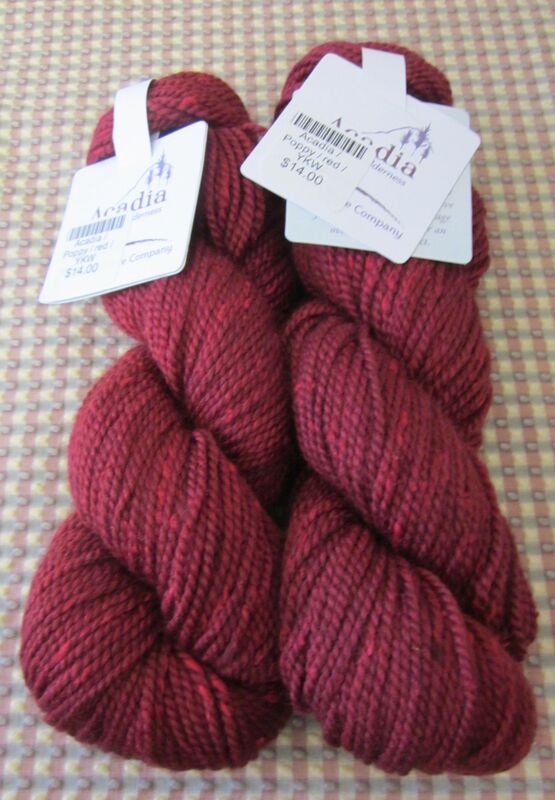 Two skeins of Adacia from The Fibre Company are now on my knitting table waiting to be wound into balls. Acadia is a hand wash yarn with the fiber content being 60% Merino Wool, 20% Alpaca and 20% Silk. This yarn is a perfect match for the pattern that I want to mimic from Margot’s recently finished Ruffled Scarf pattern. This yarn will be on my needles tomorrow. Eleanor – Thursday (and Saturday) knitting – met her deadline! I sent Eleanor an e-mail asking if she got the scarves finished for Mother’s Day…and here’s what she had to say. Eleanor - working towards her deadline! ….Isis is available through Skein Lane Studio. Coming next: Sarah’s Truck Sweater…click in for a great sweater.